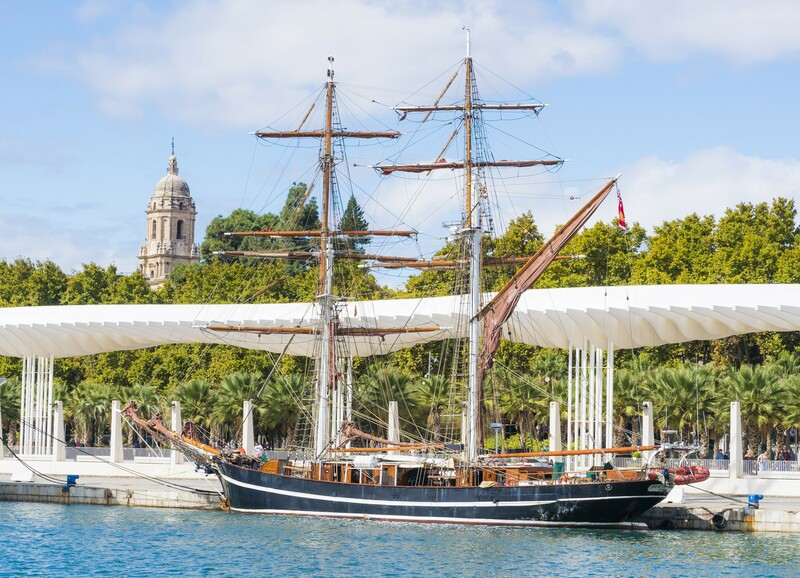 Spend 16 days at sea as you sail with Eye of the Wind south along the east coast of Europe, past Spain and Portugal and on to Lanzarote, in the Canary Islands. Out past the Bay of Brest in Brittany, the ocean unfolds its vastness. 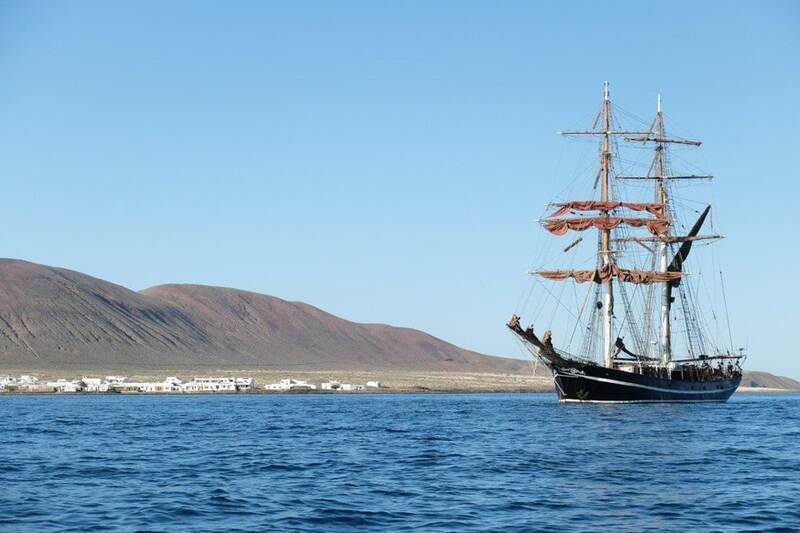 Eye of the Wind will set sail for the volcanic island of Lanzarote, embarking on 18 extraordinary days filled with tall ship sailing, marine life and pure relaxation. 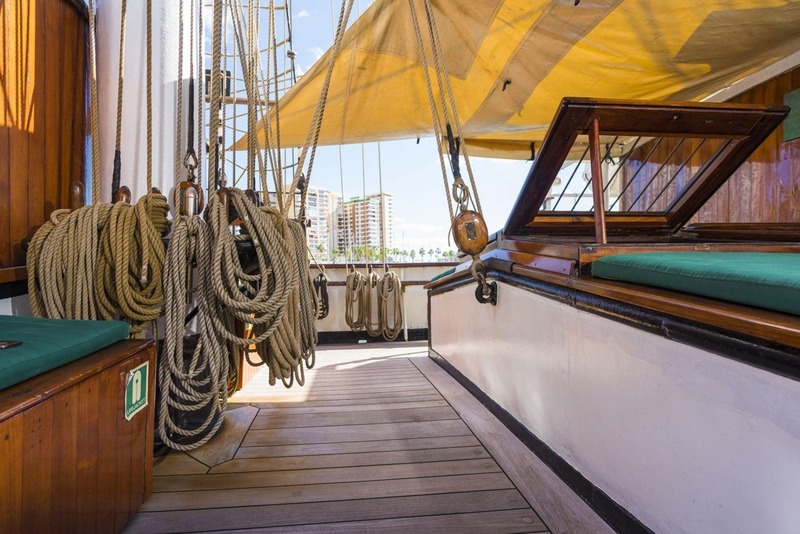 Count the nautical miles, marvel at the ocean’s nature, perhaps climb the mast from time to time and enjoy the view – sailing on the Atlantic on a tall ship will fill you with a feeling of endless happiness. The start of this journey is at the ‘end of the world’ – Finistère, as Brittany is often called. The port city of Brest is easily accessible from most major airports by daily connections via Lyon. For more than 350 years, the port city of Brest has been an important maritime and naval base. The cityscape is characterised by castles, maritime buildings and bridges. Make the most of your stay by visiting the Océanopolis theme park with its 42 seawater aquariums, or learn about the history of the port at the Musée de la Marine in the Château fortress. You’ll be welcomed on board in the port of Brest at 7pm, before your first meal on board getting to know your fellow passengers and shipmates. The Eye of the Wind is not a ship that likes to lie idle in the harbour, so the ship will cast off the next morning. 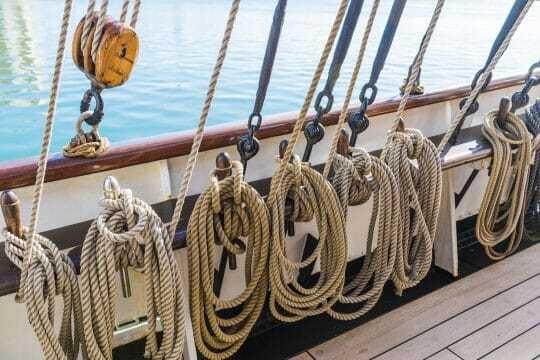 After receiving safety instructions and an introduction to sailing by the ship’s crew, you will soon be able to take part in sailing yourself – no previous knowledge is needed. No two days are the same, and it’s likely that you’ll experience encounters with small whales and dolphins! Eye of the Wind’s course takes you around 1,300 nautical miles through the vastness of the Atlantic between the Celtic Sea and the Canaries. In nautical jargon, this is called blue-water cruising. 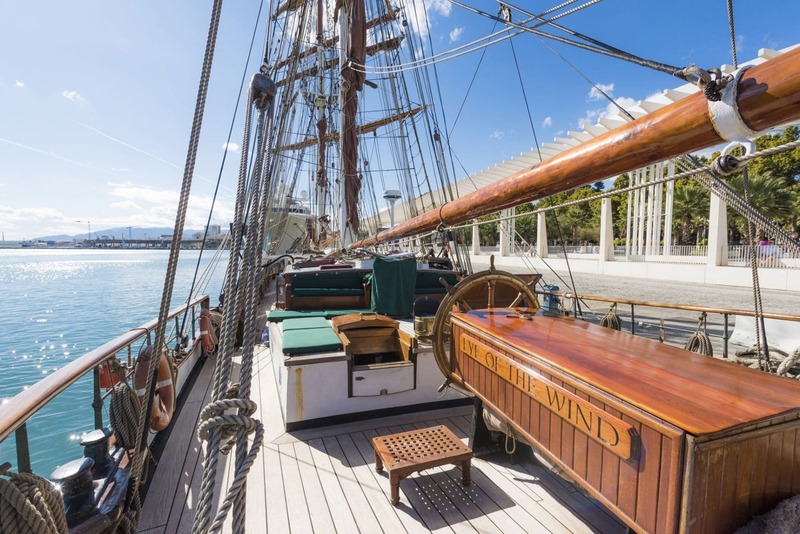 You will get to know the Eye of the Wind as a seaworthy and reliable ship that has proven itself in all weather conditions. 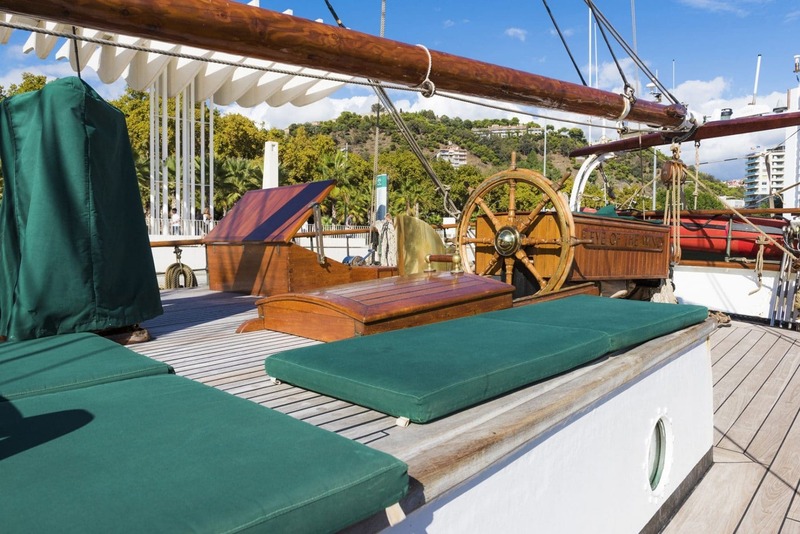 You can help actively with the sailing manoeuvres or just relax and watch. The setting and trimming of the sails during the days at sea will become an ever more fascinating spectacle from a long gone seafaring era. Enjoy your time on board and treat yourself to the excellent onboard cuisine. From morning to evening, the ship’s cook will surprise you with a variety of recipes from his galley cookbook. And if you need warming up, you can get a cup of tea or coffee at any time. 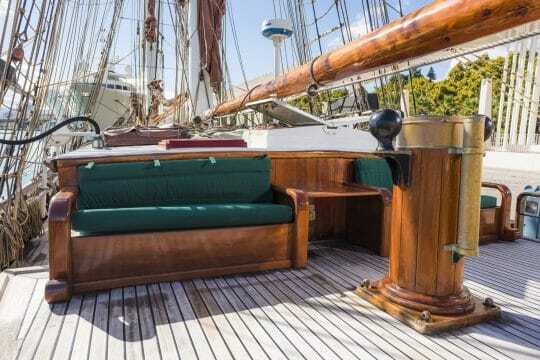 If it should rain, you can make yourself comfortable below deck in the comfortable lounge, browse through the large onboard library or settle down with a DVD. 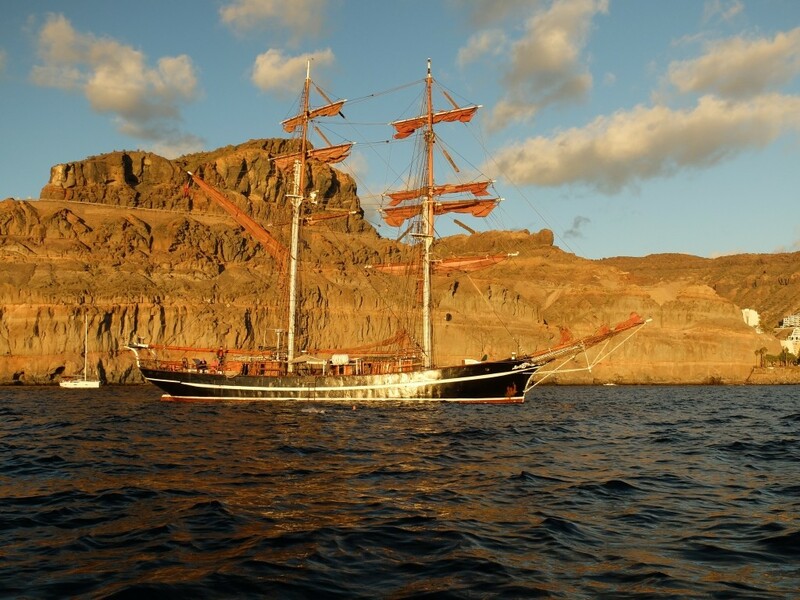 As Eye of the Wind sails in the Canary Island archipelago, she may anchor before reaching Lanzarote. Where and when this will be depends on the progress of your journey and on the wind and weather conditions. 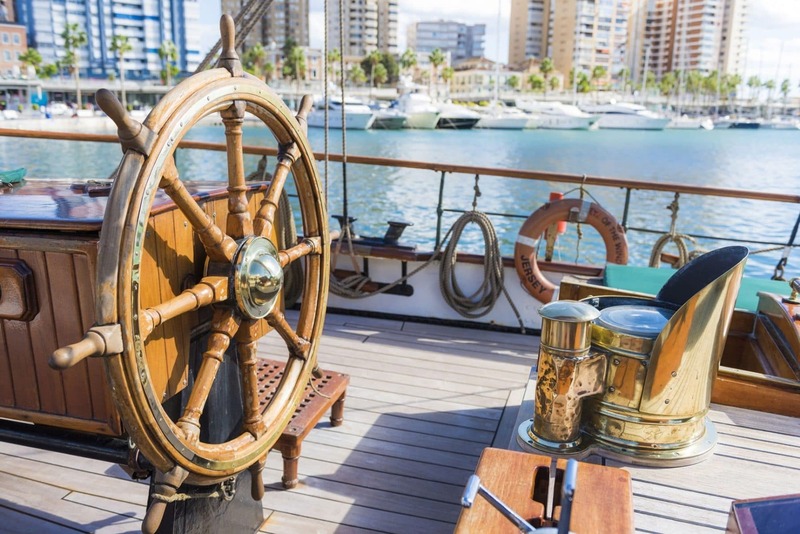 The decision on whether to do some ‘Canary Island hopping’, or to spend an extra night in the harbour or at the mooring will be made at short notice, taking your wishes into account whenever possible. One of the most beautiful anchorages is the bay at Playa Francesa off Lanzarote’s neighbouring island of La Graciosa. 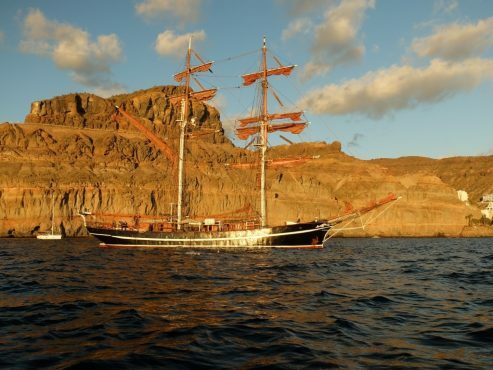 The Montaña Amarilla rises majestically above a golden sandy beach, the silver shimmer of the Atlantic surrounding the ship. After going on shore with the dinghy, you can go on a rewarding mountain hike. On a long path circling the volcano, it is possible to ascend the 170 metres uphill to the edge of the crater. From the highest point of the island, you can see sand, stone, lava and boulders in all shapes and colours: a breathtaking mix of desert and volcanic peaks, surrounded by the sea. In the Canary Islands, the trade winds bring warm air from Africa, creating a pleasant average air and water temperatures of about 20 degrees in November around the eastern islands. As you approach Lanzarote, the unmistakeable black, brown and red peaks of the volcanic cones rise more than 600 metres into the air. Parts of the island are covered with a black layer of lava; palm trees and agaves make up most of the flora. The vast moon-like landscape is best explored by rental car, and a half hour drive takes you to the centre of Timanfaya National Park with the Montañas del Fuego, the mountains of fire – a must see whilst you’re there. 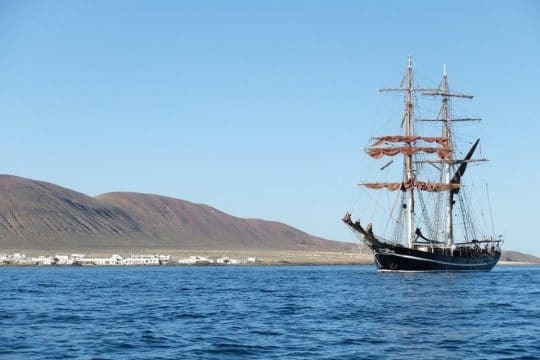 Lanzarote is where your voyage will end, and with feet on solid ground we’ll be surprised if you’re not already dreaming of your next sailing adventure.